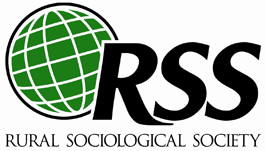 In this issue: RSS Annual Meeting Registration 2017, Graduate Student Travel Awards 2017, RSS Annual Meeting Field Trips 2017, RSS Election results, SAFRIG Paper Award Competition , Call for Papers, Employment Opportunities, and Other Announcements of Interest. This link will take you to RSS eBulletin Issue 87, May 2017. In this issue: RSS Annual Meeting Registration 2017, RSS Annual Meeting Highlights Member News, RSS Election Announcement Paper Award Competitions, Call for Papers, Employment Opportunities, and other items of interest. This link will take you to RSS eBulletin Issue 86, April 2017. In this issue: RSS Membership Renewal, RSS Election Announcement, Sociology of Agriculture RIG Student Paper Award, Teaching and Curriculum RIG Paper Competition, Community, Health, and Family RIG Paper Competitions, Call for Papers, Employment opportunities, and other items of interest. This link will take you to RSS eBulletin Issue 85, March 2017. In this issue: A reminder for feedback on the RSS Code of Ethics draft, 2017 Diversity Travel Scholarship, 2017 RSS Awards Announcement, 2017 MS, PhD, and Early Career Research awards Competition, Teaching and Curriculum RIG Paper Competition, Community, Health, and Family RIG Paper Competitions, and other items of interest. This link will take you to RSS eBulletin Issue 84, February 2017. In this issue: Report from the RSS Ad hoc Committee on Ethics, 2017 RSS Awards Announcement, 2017 MS, PhD, and Early Career Research awards Competition, Teaching and Curriculum RIG Paper Competitions, and other items of interest. This link will take you to RSS eBulletin Issue 83, January 2017.